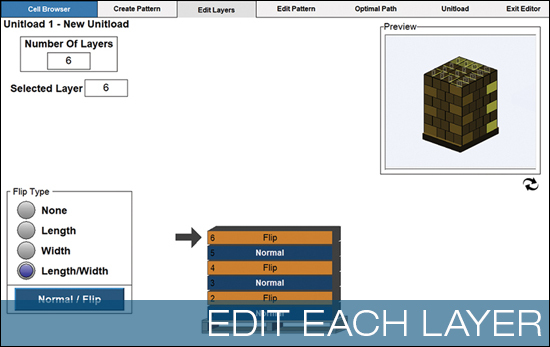 OptiStak software, designed by Schneider, is a seamless and simple palletizing solution. 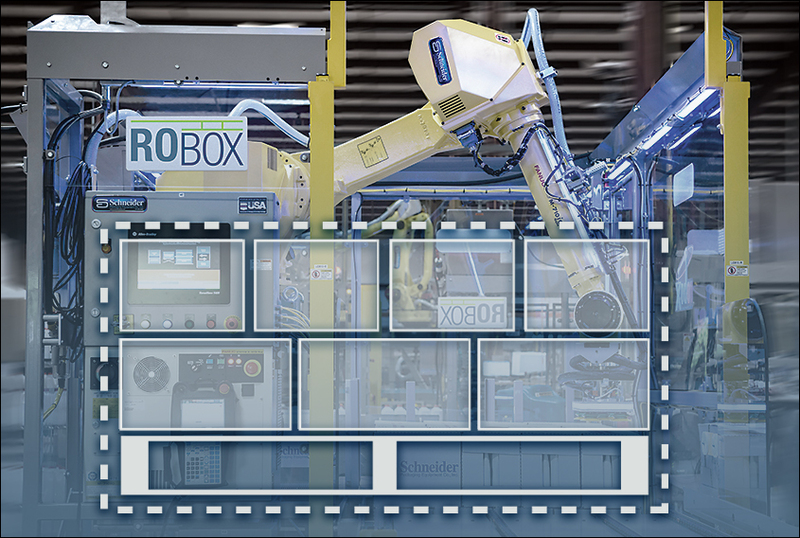 This software meets the production requirements of virtually any industry or product. 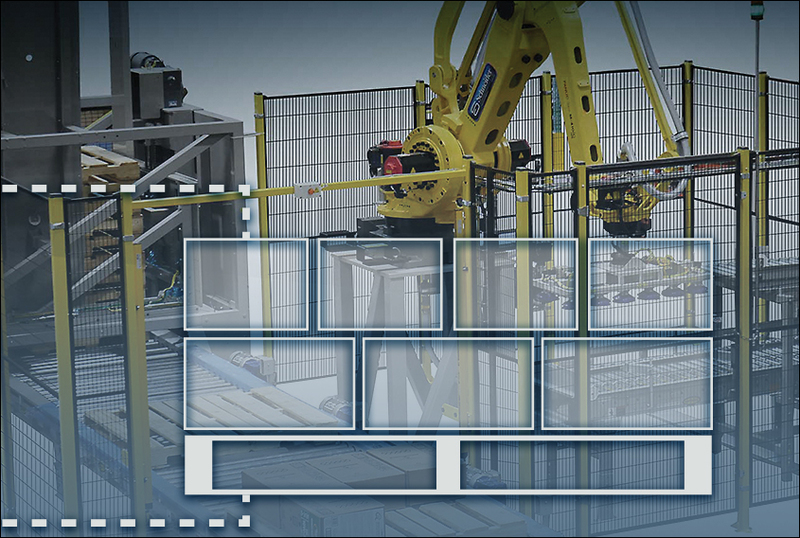 Your operators can change patterns on the fly, optimize pallet configurations quickly, and avoid changeover delays—directly from the HMI. Optimize ease of release and time to market for your new products with OptiStak. From the HMI enter the unit dimensions and pallet dimensions. 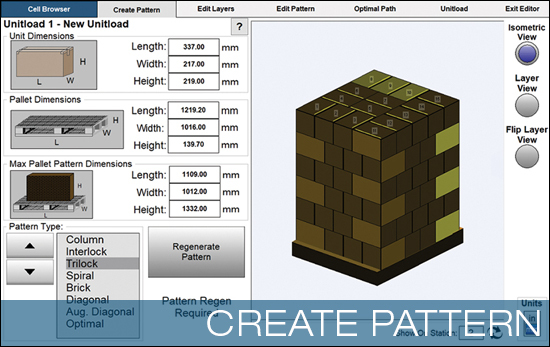 Next, select a specific pattern type; column, interlock, trilock, spiral, brick, diagonal, augmented diagonal, or optimal. 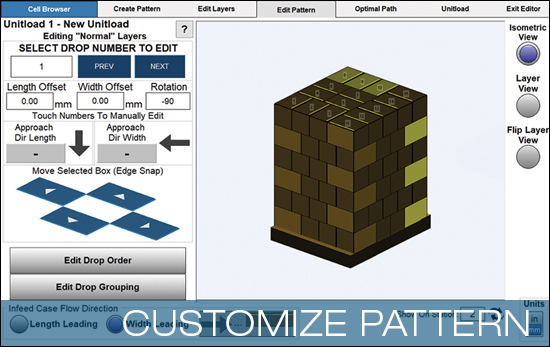 OptiStak will automatically choose the best pattern based on the dimensions entered. 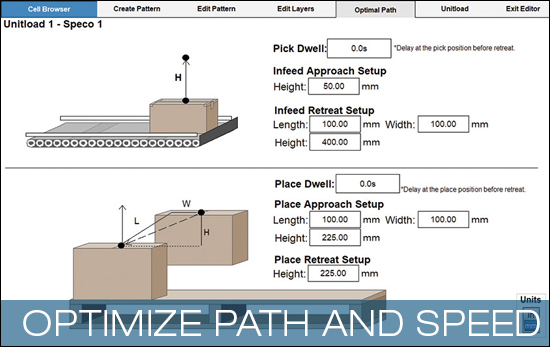 From here, customize each layer, modify the pattern, and optimize the path and speed. The OptiStak wizard is available to walk you through every stage of the process. Each recipe is then saved, stored, and can be copied for a new recipe—all from the HMI.